Jennifer is originally from Fife and qualified from Edinburgh in June 2010, shortly afterwards she moved from Scotland to become part of the Wilson family. She enjoys all aspects of her job and has a particular interest in small animal medicine and cardiology. When she's not at work she is kept busy by her two dogs Rudi and Marley, and enjoys eating good food and watching films. She also loves travelling to new countries and she recently spent a month in Thailand where she worked for a charity that provides veterinary treatment for thousands of stray dogs and cats every year. 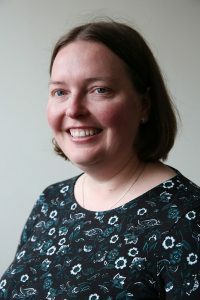 Seonaid qualified from the University of Glasgow in 2001 and spent some time in mixed practice in the Lake District. 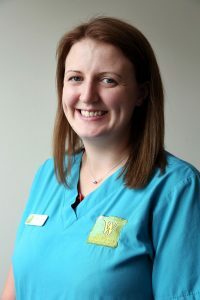 She joined the team at Wilson Veterinary group in May of 2004, thoroughly enjoying all aspects of small animal practice with surgery and nurse training being particular interests. When not at work Seonaid enjoys spending time with her family when (and if!) time permits. Jeremy qualified from the Veterinary School of Lyon in France in 2001. He then enrolled in an internship at the same veterinary school for an additional year to further his knowledge in small animal medicine and surgery. 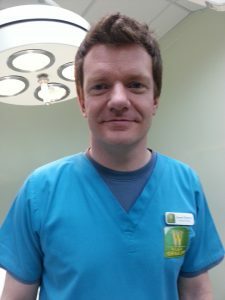 After a short stint working as a locum in France, he moved to the North-East of England in 2003 where he has been working as a small animal vet ever since. 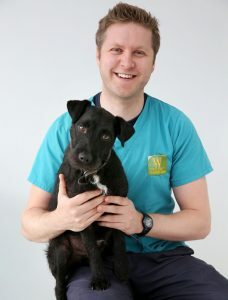 Jeremy joined Wilson Veterinary Group in July 2012. His main interests are in internal medicine but he has developed significant experience in surgery along the years. When he goes back home after a long day at work, his 2 rescued cats Filou (rascal in French) and Sheldon often get on his nerves. Sini Demeyre is originally from Finland. 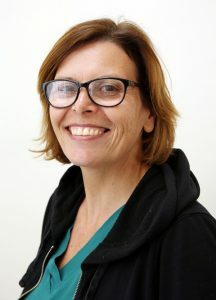 Having qualified from the University of Helsinki in March 2001, and Sini came to England in 2003 to start her new life with her French boyfriend who has since become her husband. Sini used to have dogs in Finland, 3 shelties, a cavalier and a dalmatian. Sini bred 2 litters of shelties and used to go to dog shows with them a lot. Here in England, Sini has 2 rescue cats, but sadly no dogs for the moment. Sini's free time is spent with her husband and daughter, they love walks in the countryside and we also do some gardening and cooking together. Karen qualified from the University of Glasgow in 2001. After a few years working in Yorkshire, she moved up to Durham and joined Wilson Vets in 2006. 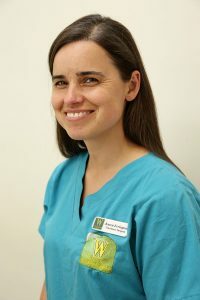 She has a GP certificate in small animal practice and is particularly interested in cardiology and all ultrasound. Outside of work she enjoys spending time with her husband and young son, walking her faithful dog, Kip and riding her pony. She likes photography, walking and horse racing. 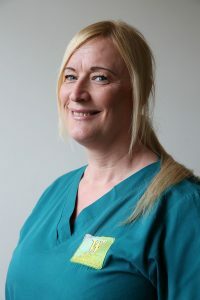 Samantha qualified in 1992 and first started working in a mixed practice in Lancashire. She moved to the practice in 2002 with a particular interest in canine and feline medicine. She has a particular interest in pedigree dogs and their health and is involved with the KC and monitoring canine health in the UK. 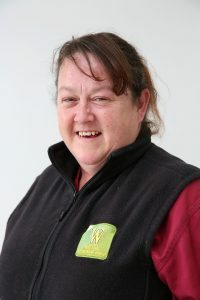 She has two children and with her family she enjoys showing and occasionally breeding beagles and also Pony Club events with her daughter and her pony. Kathryn graduated from Liverpool University in 2001 and since then has worked both here in Bishop Auckland and also in Teeside. Having recently returned to Bishop Auckland with her husband, Kathryn is spending all her spare time trying to redecorate their new home. Originally from Poland, Martin qualified from the University of Lublin in 2002. 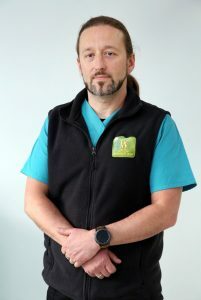 Having worked in various small animal practices in Poland before coming to UK, Martin also spent five years working in a small animal Hospital in Middlesbrough and 3 years at the PDSA in Gateshead before joining the team at Wilson Veterinary Group in April 2013. Martin's interests lie in all aspects of veterinary medicine, especially soft tissue and orthopedic surgery . Martin's favourite pet is his cat Frankie. Outside of work, Martin enjoys spending time out on his motorbike visiting exciting places across the country. Originally from Poland, Pawel qualified from the University of Wroclaw in 2002. 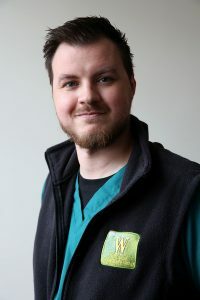 Having worked in various small animal practices in Poland before coming to the UK, Pawel also spent one year working in small animal practice in North East Lincolnshire before joining the team at Wilson Veterinary Group in April 2008. Pawel's interests lie in all aspects of veterinary medicine. As yet, Pawel has not acquired any four-legged companions, but will change sooner or later. Outside of work, Pawel enjoys spending time out with his wife and baby and visiting exciting places across the country. Katherine qualified as a veterinary nurse in the summer of 2005, but has been working in the profession for nearly 12 years. Katherine enjoys her job, because of her passion for caring for animals and advising people on the best way to look after their own pets. In Katherine's own time, she looks after her own mad Border Collies, and attempts to do agility (the jumps and things) and can often be seen going for a ‘drag’ round the local park and woods or going over to the Lake district. Julia has been working at the practice since August 2005 as an auxiliary nurse, and finds nursing very rewarding yet very challenging. Julia loves everything about it, the animals, the people and her work colleagues. 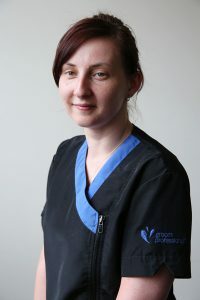 Julia successfully qualified from her nursing course during 2010 and is now a Registered Veterinary Nurse with the Royal College of Veterinary Surgeons. Julia is married with a teenage daughter who is mad keen on horses, along with two dogs; Pippi and Lilly, who are both Jack Russell crosses. I have been with Wilson Veterinary Group since 2007. 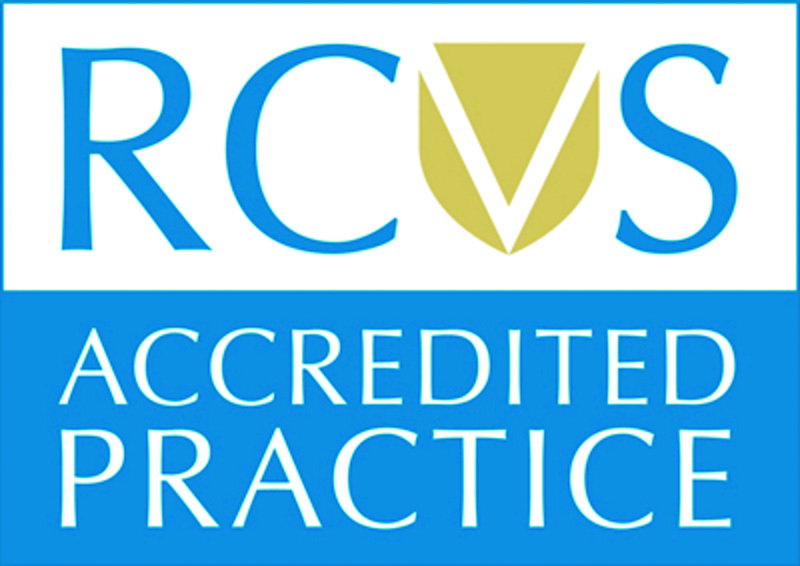 I previously worked for 14 years in another practice and i have been qualified since 2003. I am currently based at our Spennymoor surgery. I have two big ginger male cats "Odin" and "Loki" and a rescue dog "Toby"at home. I love spending time with my family and my favorite places to visit are Whitby and the North Lakes. My name is Tom I am a student veterinary nurse and am looking forward to qualifying in the summer of 2014. I have two dogs - a staffie named Chico who likes northing more that sunbathing and a whippet cross named Pip who always has to have the last word. I also have a cat named Harry who thinks he is the king of the house. I have been at Wilsons for two years now and enjoy every aspect of nursing especially seeing patients recover and get back to their normal selves . I love my job and can’t see myself doing anything else. Hello my name is Joanne, I have worked for Wilsons since 1999. In 2007 I passed my veterinary nursing exams. I am based at the Bishop branch and have chosen to do extra training with cats. I have already completed a feline friendly nursing qualification and a cat behaviour certificate. I am also going to be doing a advanced feline nursing degree and I am working with the practice to make it a more cat friendly place. Hopefully we will receive the silver award soon. I have my own cat 'Tuppence' who I got from the practice when she came in as a 5week old stray kitten. She is now 11 but still very active. I also have a 4year old Jack Russel called 'Kipper'. I have had over 4 years experience with animals, firstly completing animal care and then becoming a qualified veterinary care assisstant. I am now continuing my studies as a student veterinary nurse, to qualify in 2015. I've loved animals all my life and will do anything I can to help them! I have a 10 year old male Schnauzer who I adore. In my spare time I like to chill and eat a lot of junk! 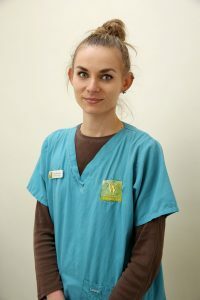 Nicola qualified as a veterinary nurse in spring 2005, and joined the practice in the Autumn of 2004. Some of you may have met her, as she works on night shifts. After working in a couple of other practices, Nicola has settled here and currently enjoys a keen interest in the 'small furry' pets and the more unusual ones which appear occasionally! At home, Nicola cares for a wide range of pets ranging from Eleven Siberian Husky’s, two black Labradors, a German Shepherd and several cats to hens, a tortoise and goats. As with many other staff members here the majority, of her pets have appeared through work for re-homing and ended up being taken home! 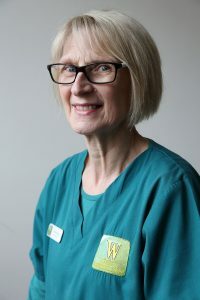 Donna joined in 2007 as an auxiliary nurse, and enjoys caring for all the patients and working with the rest of the team. Donna has two children, two dogs, a cat and a goldfish. 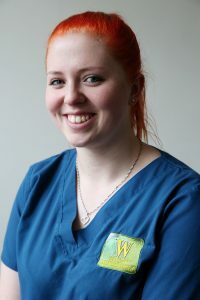 Claire started working at Wilson Veterinary Group in July 2006. Having previously worked for WM Morrison Supermarkets for 9 years, Claire graduated from Sheffield University in 2002 in Physics. Knowing that Physics was not the career for her, Claire completed Morrisons Graduate Trainee Scheme specialising in Personnel. Claire has recently completed an MA in Human Resource Management at Teeside University and is working towards Chartered Membership of the CIPD. Claire and Neil have a pet dog Nina who is hyperactive and occasionally naughty. Outside of work Claire is very active in the Scout Association, she is a Beaver Scout Leader for her local group and holds District, Country and National Roles as well. 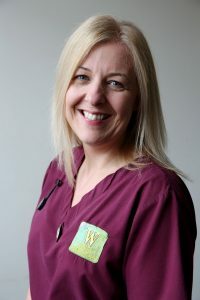 Karen has been working at the surgery since 1998 and started off as a receptionist, gradually taken on different accounting roles to her current position. You will still see Karen assisting the Reception and answering any queries when necessary. Working in a Veterinary Surgery is very varied and no two days are ever the same. 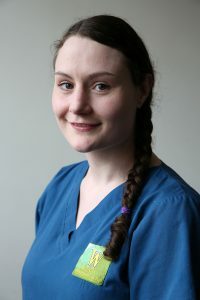 Helen started working at Wilson Vets in February 2007 as a receptionist. After a couple of years of working as a receptionist, Helen is now an Administration Assistant and deals with pet insurance claims, reminders and many other admin duties. Helen lives in Witton – Le – Wear with her husband Michael and 6 cats, yes that's 6..! One day Helen is hoping to have enough money and open up her own animal sanctuary. Although the admin role tends to be based upstairs away from the veterinary life you can sometimes see Helen wandering around saying hi to the pets and their owners. Nicola has just completed a City and Guilds Diploma in Dog Grooming and has also gained a NVQ level 2 and 3 in animal care. Robyn joined the practice in September 2008 after running a successful country pub for four years, which she really enjoyed. Originally from South Africa she moved to the UK in 2003 and worked in Surrey for a year before relocating up North. Robyn really enjoys working at Wilson's and is proud to belong to the dedicated team. After years of working at the Bishop Auckland and Spennymoor branches she has recently moved into the role of Head Receptionist at Bishop Auckland. 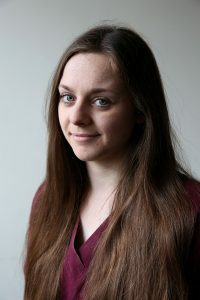 Robyn has recently completed NVQ's in Customer Service and Business Administration and is currently pursuing further training in customer relations. In her spare time she enjoys reading and playing squash. 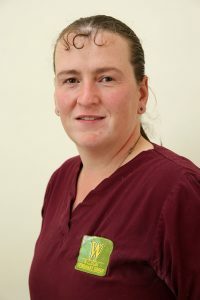 Jane has worked at Wilson Veterinary Group since 2002. Jane has three cats which were adopted by Jane after they were abandoned at the practice. Jane loves working in this very busy practice, not one day is the same. Jane particularly enjoys holding and cuddling all of the puppies and kittens. Jane has recently completed an NVQ Level 2 in Customer Service. Hello, my name is Mandy and I have worked as a receptionist at the Newton Aycliffe branch since 2006. Working at Wilson Veterinary Group is enjoyable for me as I love getting to know clients and their pets. When I'm not at work I travel around the North East taking my Nova Scotia Duck Tolling Retrievers to Agility and Breed Shows. 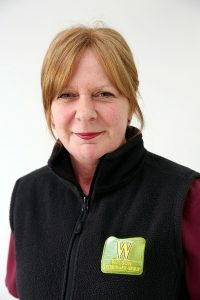 Denise joined the team at Wilson Veterinary Group as a part-time receptionist in July 2011 after spending the last twenty years working in optics as an optical assistant. Denise lives on a Farm near Firtree, she has a Labradoodle Paddy, who along with looking after her grandchildren, keeps her fit and active.